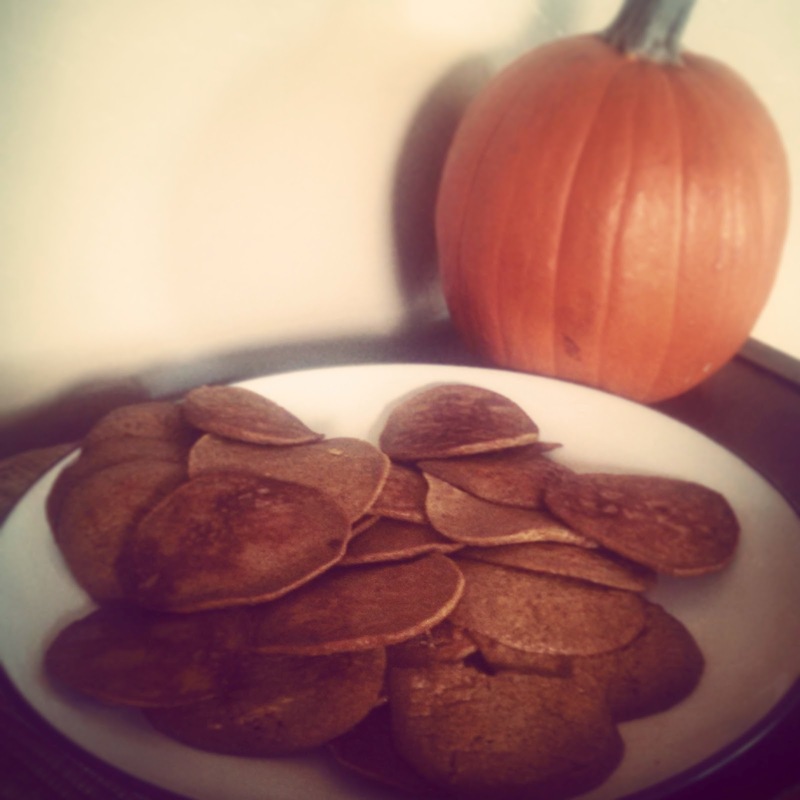 First one is what we did this morning...Pumpkin Paleo Pancakes. My 18 mo. old is sitting in his highchair now eating his 8th one. Go for it dude. So I double the recipe to feed my 3 growing boys as well as my hubby and myself while still having a couple extra to freeze for easy meals. This time my freezer batch is going to 2 of my best friends. One is due with her second son any day now and has a gluten intolerance (her diet is up my alley). And the other is a fellow paleo-lover for her family and her husband just went through cancer treatment. A hopefully easy way for both of them to stay eating well and feeling well when their worlds are a little crazy. In a bowl mix together ingredients with a hand mixer for 2 minutes. Pour onto coconut oiled griddle. Flip when the edges look dry. Top with pure maple syrup or apple sauce.